We created a powerful logo design for SCALDA company from Romania. The firm wanted to express one main idea which is wearing ideas on t-shirts. They print on t-shirts theirs customers feelings and opinions. We began from that idea and we chosen light bulb and clothes hanger to express it. Combined in a professional style to keep the logo simple but yet professional and exquisite with a warm touch. The vector logo was delivered in four variants and print ready for every environment. 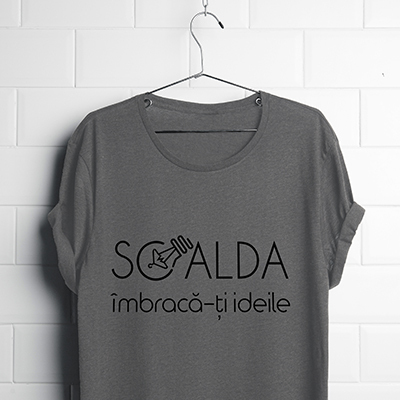 SCALDA logo speaks for itself now – wear your ideas! SCALDA company can use the design in whatever medium they desire – be it digital or printed media – without compromising on quality and proper representation of the brand.